We are continuing with the celebration of its majesty ‘The Beard’! After DIY Beard Oils and Best Beard Grooming Products, we have decided to go alternative, even bizarre a little bit. The beards that we are featuring today are probably the weirdest you have ever seen, but there is a purpose to their weirdness. They are the focal point of an advertising campaign called Schick Free Your Skin, which was created by New Zealand’s grooming company Schick Razors, in an attempt to incite men to spend a bit more time on taming their facial fuzz. 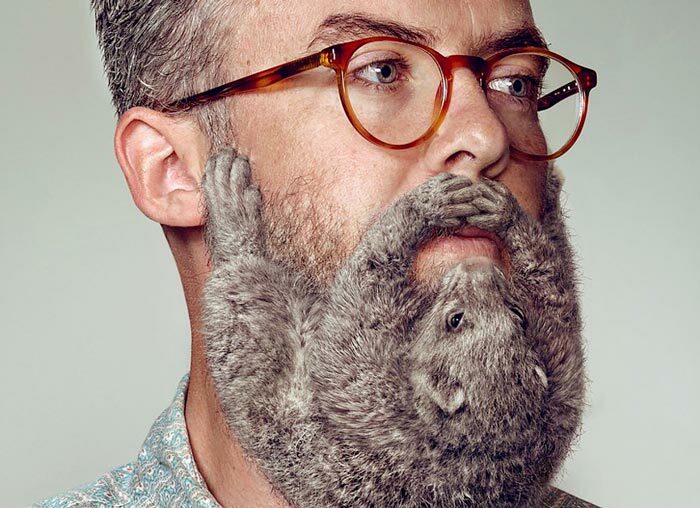 The Schick Free Your Skin campaign is not conceived to talk you into completely shaving off your beard, considering the campaign was commissioned by a razor company, but “it carries the message that men need to shave their facial hair before it turns into an animal”. During the shoot, six ferrets and nine rabbits of various colours were used. Goodall did a marvelous job of photographing the furry animals while trying to make them pose. The end result is a multitude of furry captures and an original advertising campaign. 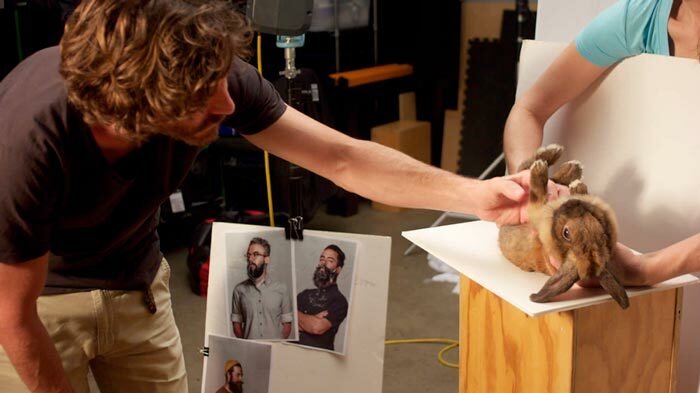 One more important piece of information – no animals were harmed during the photo shoot while Schick itself opposes animal testing.